New Hungry Bugs – Games for Android 2018 – Free download. 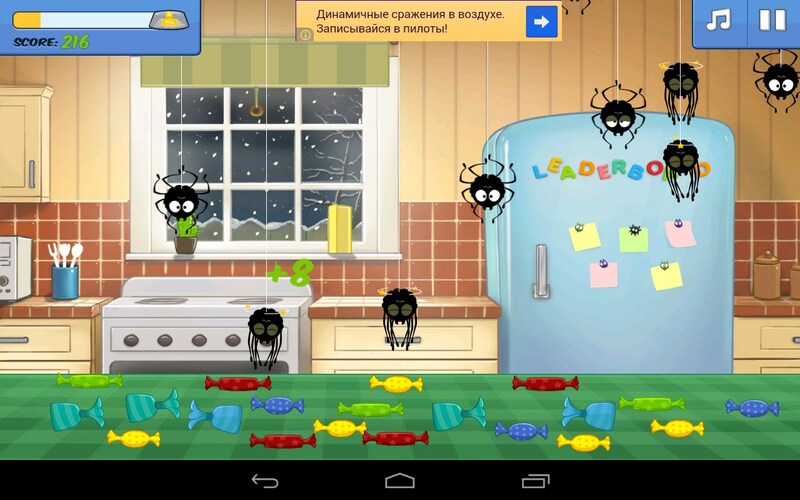 New Hungry Bugs – Squash insects to save the sweets. 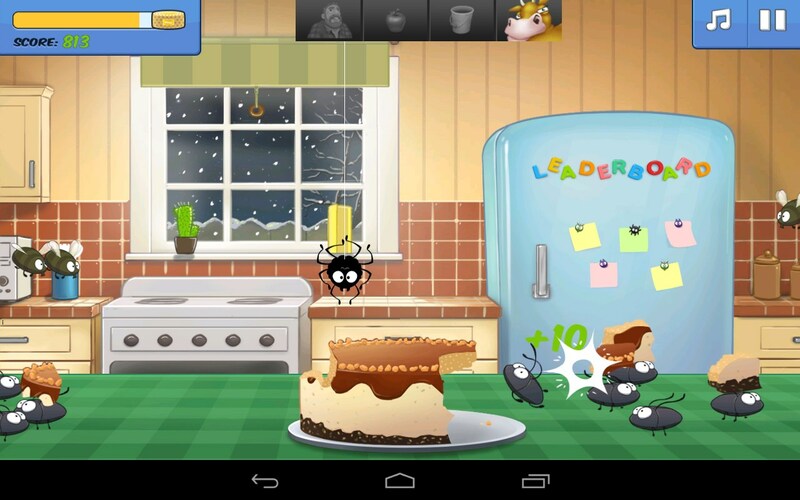 New Hungry Bugs - is a simple and fun arcade game for Android, where you have to defend your favorite sweets from the greedy mouths of thousands of insects. 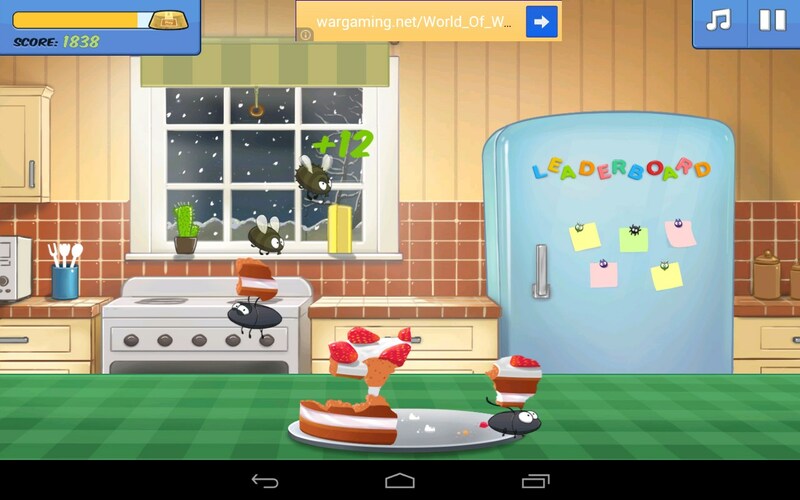 Your war unfold on the kitchen table, where inadvertently forgotten cakes, cookies, candies and other goodies. Use your finger to get rid of cockroaches, flies and spiders, seeking to drag along at least a piece. 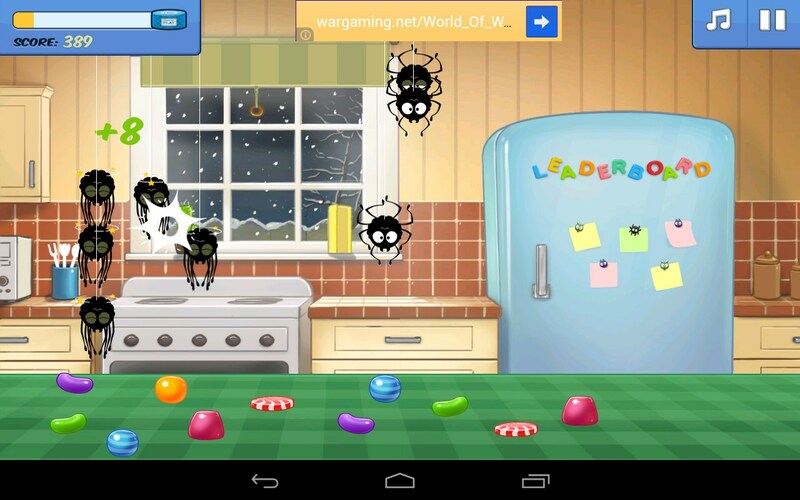 The game had a good drawn graphics with cute insects. Unfortunately, all events will be held at the same location, but the variety of sweets really astounding. 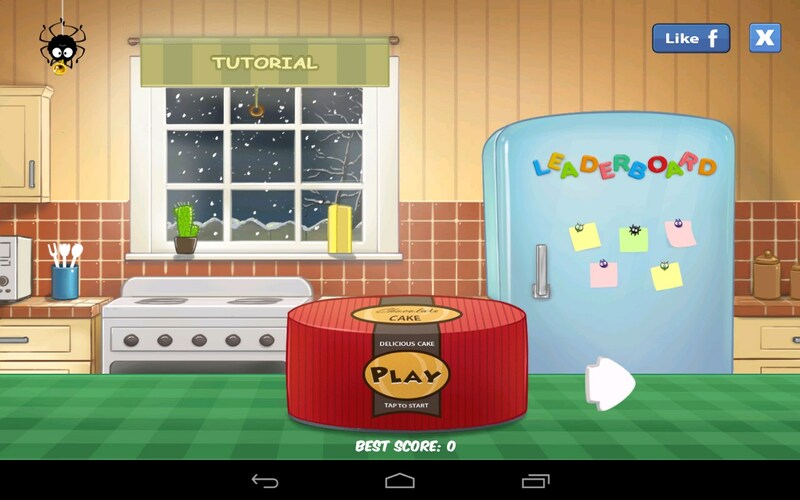 Decorate image designed simple animation, through which all around alive and constantly moving. And being finalized musical component, in which there was a place cheerful soundtrack and a set of sound effects. Gameplay outrageously simple. You need to beat the massive insect attack, defending their sweetness. As a rule, the purpose of your defense is in the middle of the table, which means that harmful bugs will lead the attack from all sides. Note that you have to deter attacks against the three types of insects: cockroaches, flies and spiders. First worn on the table and very smart, but you can get them without any problems. Winged where cunning thieves, because they fly curves, and once they are difficult to beat. And spiders and all can be attributed to the saboteurs because they make quick and bold forays into its web. 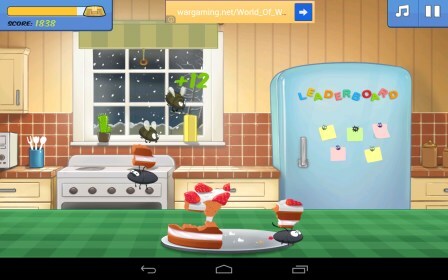 To complete the level and move on to the next defense gastronomic miracle, you need to get a certain amount of points. Once the scale at the top of the screen fills up, you win. But it&#039;s worth noting that with each level will increase complexity, but on the field there will be new parasites. For example, cockroaches, clad in armor. With these thieves will have trouble, because their destruction is necessary to make two tapa. With control, as they say, and the child cope. All you need - it&#039;s just a dab on emerging tipsters. The faster and better you do it, the easier it will pass the level, and you get a bonus for stored products. Gradually increase the number of thieves, and to cope with this crowd, you will need a truly crazy and reaction speed. The disadvantages are too simple gameplay, but it is offset by excellent hand-drawn graphics and a high rate. Distributed game free of charge, and while it does not have any domestic purchases. Make the developers decided using the built-advertising, but a small banner does not interfere and does not irritate. 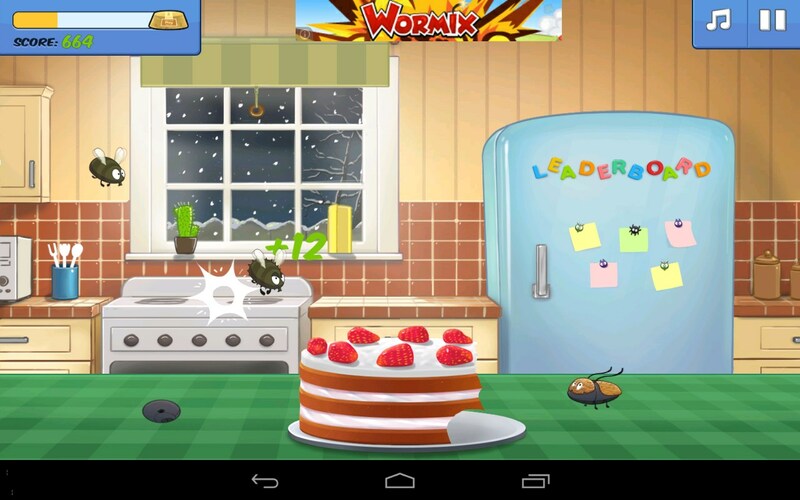 New Hungry Bugs will delight all lovers of simple arcade games that help pass the time. Funny idea, cute graphics and controls make the game great tapami taymkiller that even a child can master. i was using it , suddenly it turned off and now it is not turning on!!! what should i do? What exactly happens when you attempt to launch the app again? Do you get a black screen? Does it start up and the crash to the Home Screen? My advice is, if the app fails to start then attempt to restart your device. If the app still will not start then uninstall it, restart your device and then install it again. For further reference, always mention your device model and OS version when requesting assistance. Please let me know if this resolves your issue or if you require more assistance.